As a mom, I can’t begin to imagine seeing my children separated from one another. They may fight and drive each other crazy now, but when they grow up, they will appreciate having one another to rely on. Siblings need one another and my heart breaks thinking about the children in the foster care system who are separated from their brothers and sisters. There are 428,000 youth in the U.S. foster care system and 112,000 are waiting to be adopted. AdoptUSKids’ maintains a national photo listing service for children waiting to be adopted. Since the project launched in 2002, more than 26,000 children who were once photo listed on adoptuskids.org have been adopted and nearly 39,000 families have registered to adopt through the website. Nevertheless, older youth are disproportionally represented – approximately 43% percent of children and youth photo listed on adoptuskids.org are between 15 and 18 years old, but only 17% of those adopted have been in this age group. This is a particularly sobering fact, especially during the holidays. 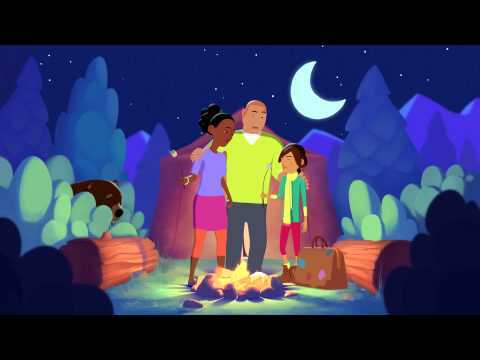 As an extension of their award-winning National Adoption campaign, the U.S. Department of Health and Human Services, AdoptUSKids and the Ad Council are unveiling a new series of public service advertisements (PSAs) designed to continue to encourage the adoption of children from foster care with an emphasis on the importance of keeping siblings together. Since the launch of the campaign in 2004, more than 22,000 children who were once photo-listed on the AdoptUSKids website are now with their adoptive families and more than 35,000 families have registered to adopt through AdoptUSKids. Approximately 23 percent of children and youth actively photolisted on the AdoptUSKids website and waiting for placement in adoptive homes were registered with one or more siblings. Sibling relationships are often the longest-lasting relationships for children in foster care. The PSAs feature parents participating in activities with their children such as a father trying to build a tree house without carpentry skills, a mom roller blading with her sons even though she is not a skilled skater and a mom and dad accidentally burning their daughter’s favorite breakfast. The objective is to reassure potential parents that all kinds of people have the potential to make a positive impact on a child’s life. All of the PSAs direct audiences to visit AdoptUSKids.org or to call 1-888-200-4005 (English) or 1-877-236-7831 (Spanish) to receive the latest information about the foster care system and the adoption process. This is such a worthy cause. A great way to help kids who needs the loving support system of a family. Christmas is almost upon us, look up this Kidioke, a sing-along musical playbook that is a perfect gift this holiday season.